�����Legend Rare Coin Auctions reported its largest single day auction at their 27th Regency Sale in conjunction with the PCGS Member Show in Las Vegas last week. 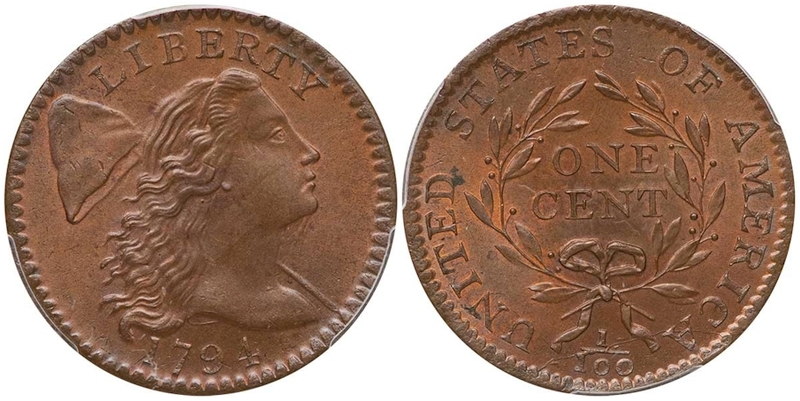 The top selling lot in this sale was the Ex Lord St. Oswald 1794 Head of 1794 Large Cent in PCGS MS66+ Brown CAC; it realized $246,750, quite a premium bid. This is 1 of 3 coins certified in MS66+ but the CAC approval makes it unique at this level. There is one coin certified higher, an MS67 Red & Brown. 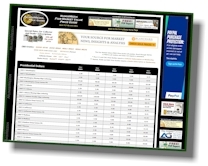 Our next online prices update will have the adjusted values for the MS66+; the NumisMedia Plus+ value will be current at $185,000 and the CAC at $200,000. 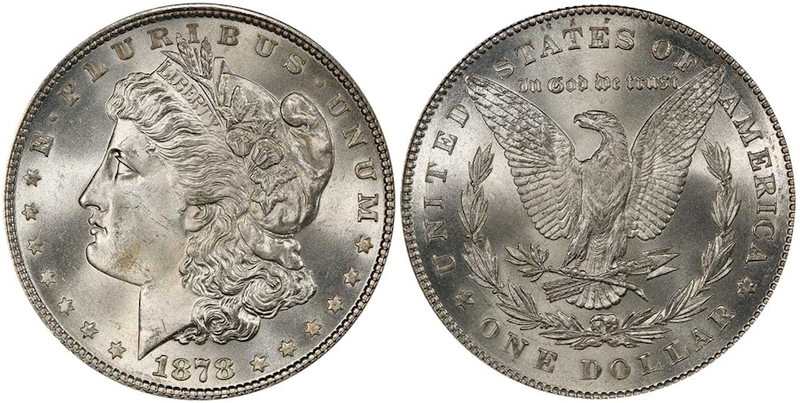 �����The RanJack Collection of nearly completed Morgan Dollars started the sale with some extremely active bidding. The very first lot was an 1878 7TF Reverse of 1878 in PCGS MS66+ CAC; with a presale estimate of upwards of $14,000, it finally realized $43,475 with no less than seven active bidders. 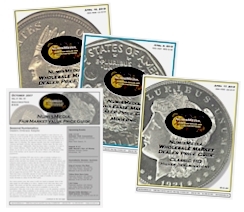 There are currently 12 coins listed as certified in MS66+, but this coin is CAC approved with none finer at PCGS. 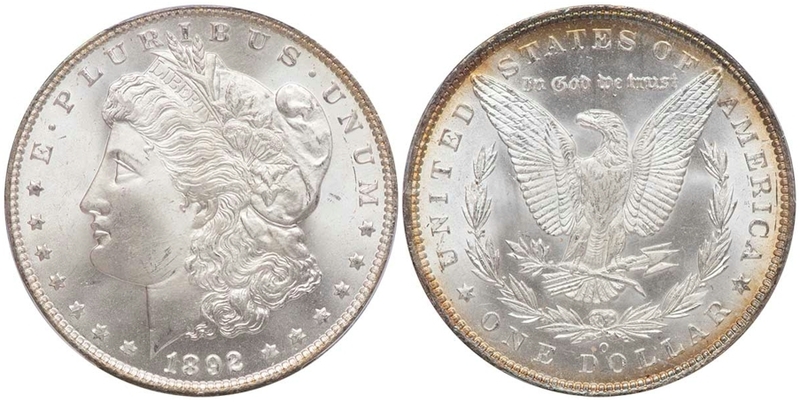 �����The 1892 O Morgan Dollar sold was not from the RanJack Collection but was definitely worthy of strong bids. This coin is certified by PCGS as MS66+ and has the CAC sticker, it brought $79,312.50. This is the only MS66 coin certified although there is one in MS67. Below are some of the other highlights from Legend�s Regency Auction 27. �����The Walking Liberty Half Dollar chart contains a long list of price adjustments this week, mostly for the dates prior to 1933. The 1916 D in MS66 and MS67 are both higher at $4,075 and $16,500, respectively. The 1918 D in MS65 is up to $23,500 and the 1921 S in MS66 is higher at $200,000. On the downside, the 1917 D Reverse in MS65 is lower at $13,550 and the 1919 in MS66 has fallen to $16,500.